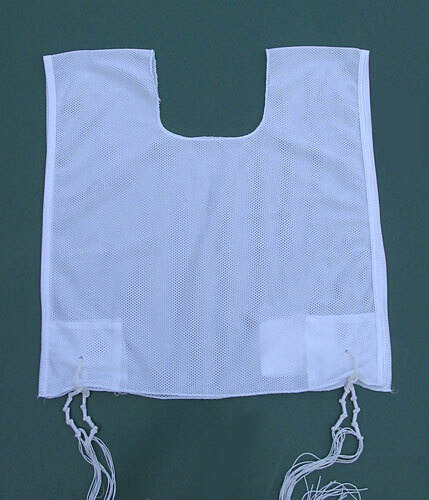 Mesh Tzitzit real light fabric with Holes. The utmost comfort in Tzitzit garment options. When buying Arba Kanfot you want to look a few factors, weight, is it a heavy sweaty fabric, fabric type, is it uncomfortable by nature. Kosher, it sounds great but is it still 100% Kosher. With this Mesh Arba Kanfot you have all bases covered. Made of a super light Polyester fabric with holes for a feather light-weight experience, you wont know you are wearing anything. Machine washable, instructions are on the garment. Select the Size from the Options below.